Fidel Castro (August 13, 1926 – 2016 ) Cuban revolutionary and President of Cuba. Castro led Cuba in a Communist revolution which led to a profound change in the economic and political fortunes of the country. Castro reorganised the economy on Marxist-Leninist principles. He is lauded by many for promoting education, social values, egalitarianism and standing up to ‘US imperialism’. He is also criticised by many for the suppression of dissent, lack of democracy and a worsening economy, which has led many Cubans to flee the country. Fidel Castro was born 13 August 1925, in Birán, Oriente Province. He was the son of a wealthy farmer and his mistress. After a rebellious, though non-political childhood, in 1945, he went to study law at the University of Havana. He became interested in politics and was critical of the then Cuban government – a military junta led by Fulgencio Baptista. At university Castro joined the egalitarian, left-leaning – Party of the Cuban People, which opposed the ruling government and was committed to democracy and open government. After university, he travelled throughout Latin-America, participating in rebellions in the Dominican Republic and Colombia. His travels and political experiences pushed him further towards Socialist ideas though before gaining power, he spoke about achieving his aims through democratic methods. In 1953, he led an attempt to overthrow Fulgencio Batista’s right-wing military junta. 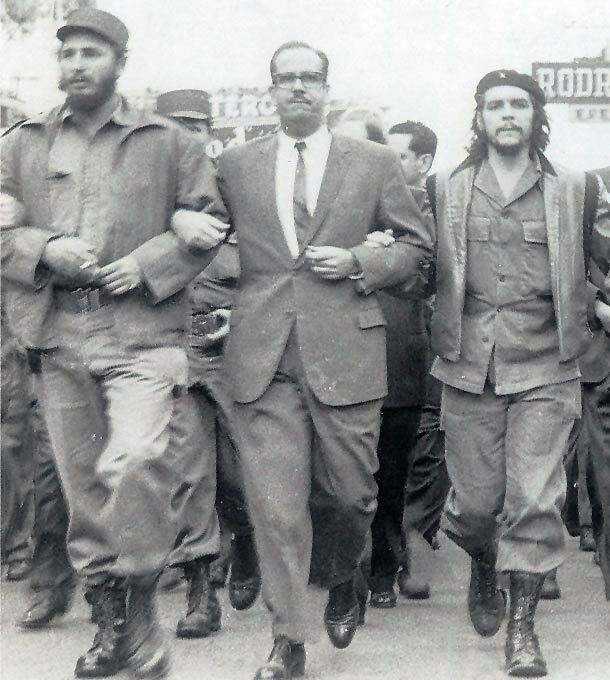 But, the attack on Moncada Barracks spectacularly failed, and Castro was jailed for a year for his participation. His trial proved a semi-propaganda coup for Castro as he gave a four-hour speech ‘History will absolve me’ – where he spoke against the injustice of Batista’s regime. The reinstatement of the 1940 Cuban constitution.A reformation of land rights.The right of industrial workers to a 30% share of company profits.The right of sugar workers to receive 55% of company profits.The confiscation of holdings of those found guilty of fraud under previous administrative powers. While in prison he founded the “26th of July Movement” (MR-26-7) which became a study group for Marxist ideals, with Castro as its leader. On his release, he travelled to Mexico where he joined with Che Guevara and his brother Raul Castro to form a revolutionary movement, committed to the ideals of Marxism-Leninism. The aim of the group was to overthrow the ‘Capitalist-Imperialist’ regimes and replace them with a Communist government which would promote the welfare of the ordinary workers and peasants. In Cuba, resentment at Batista’s dictatorship grew, and in 1959, Castro was a leading figure in the Cuban revolution which successfully overthrew Batista and led to Castro emerging as the dominant military and political leader. 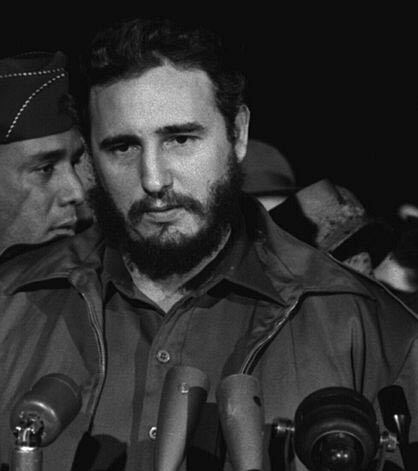 On 16 February 1959, he was sworn in as Prime Minister of Cuba. On consolidation of power, Castro introduced sweeping economic reforms – a planned Communist state, which would guarantee health care, a sweeping growth of education and social services for all. Foreign investors were prohibited from further foreign land ownership. Land ownership was limited, and around 200,000 peasants were given land ownership. However, he soon reneged on his promises of democracy – stating elections were not necessary because he had obvious popular support. In Castro’s eye, he was a democrat because he felt he had the majority of people on his side, but opposition parties were made illegal and political opponents arrested. In 1959, when Castro went to the US, he was relatively popular and gained much favourable coverage. But, his relationship with the US soon soured as US companies found themselves unable to operate in Cuba. Facing economic sanctions from the US and a collapsing economy, Castro aligned himself with the Soviet Union – who agreed to buy Cuba’s sugar production. Castro received economic help from the Soviet Union and in turn became an enthusiastic supporter of Communism. To the Soviet Union, Cuba was a strategically important location close to the US. At the height of the cold war, the US was deeply alarmed by having a near neighbour become a Soviet-allied Communist state. The US responded by imposing economic sanctions and sponsoring attempts to assassinate Castro and overthrow Castro’s regime. This culminated in the 1961 Bay of Pigs invasion, which was promoted by the CIA and Cuban rebels. The invasion was a military disaster and embarrassment to the US and only served to strengthen Castro’s position. In the eyes of many Cubans, Castro became a heroic figure for standing up to American aggression. In 1962, Castro agreed to the Soviet Union placing nuclear warheads on Cuban soil. This provoked a diplomatic showdown as the US were concerned about having nuclear warheads moved so close to its territory. After tense negotiations involving UN Secretary-General U Thant, the crisis was defused and nuclear warheads were not kept in Cuba. But, the experience strengthened the US determination to weaken or overthrow Castro. This political apathy to Castro was heightened by up to a million refugees who fled Cuba and Castro’s regime to live in the US. Refugees from Cuba were mainly middle-class professionals, such as doctors and engineers who were most likely to oppose Castro’s regime. In addition to promoting a State controlled economy, Castro also instigated a control of the press and suppressed internal dissent, allowing no political opposition, and imprisonment of ‘counter-revolutionaries’ who wanted to oppose Castro’s rule. In the late 1960s, Castro became somewhat estranged from the Soviet Union, and he became the leader of the Non-Aligned Movement. Though dependent on Soviet economic aid, he also remained tied to the Soviet Union through the Warsaw Pact. Castro was a great believer in spreading revolution throughout the world. He sent Cuban troops to African countries, such as Anglo and Libya. He also gained the support of many Arab countries for breaking off relations with Israel, in response to the Israel-Palestine conflict. During the 1980s, Castro faced increased difficulties. The US president Reagan took a hard-line to Cuba, and this led to a heightening of rhetoric between the two countries. In the Soviet Union, the reforming President Gorbachev announced Perestroika and Glasnost – which involved economic liberalisation and political liberalisation. This meant a decline in support for Cuba. But, Castro did not follow Gorbachev’s lead and increasingly clamped down on dissent. The worsening economic situation throughout the 1980s ebbed away Castro’s populism which he had enjoyed since the revolution. In 1991, the Soviet Union fell apart, and one party Communist rule ended in the Soviet Union. This led to Soviet aid ceasing, leading to a worsening of the economic situation in Cuba as the economy was struggling due to US sanctions and only limited tourism. By 1992, the Cuban economy had declined by 40% and severe rationing was in place. In response, Castro became more moderate in dealing with ‘Capitalist’ nations and sought to diversify the economy into tourism and biotechnology – trying to reduce the economies reliance on sugar. Castro sought to gain new alliances with left-leaning Latin American countries, such as Hugo Chavez’s Venezuela and Bolivia. The alliance with Venezuela proved of mutual benefit as Cuba gained oil imports in return for medical services. Castro also allowed a softening of attitudes to religion and the Catholic Church – he arranged a visit by Pope John Paul II which led to improved relationships between the government and the Catholic Church. But, still many thousands of people wished to emigrate to the US. In the 1990s, Castro embraced environmentalism and sought to improve Cuba’s environmental impact – something which was successful. However, despite some attempts at moderation, Castro has continued his criticism of US-led hegemony, accusing the US of being the worst polluter and also a strong proponent of the anti-globalisation movement. In 2008, worsening health problems caused Castro to hand over the Presidency to his brother Raul. Fidel Castro is a popular political figure in many developing economies – Africa and Latin America for his belief in egalitarianism and anti-imperialism. However, he is severely criticised in many Western countries, especially the US for his rejection of democracy and suppression of internal dissent. Within Cuba, he remains popular with a large section of the population for his nationalism and egalitarianism. However, at the same time, many middle-class Cubans have left in frustration at the economic and political limitations. 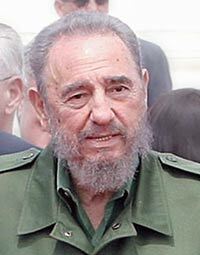 Since his retirement and ill-health, Castro was not involved in government, but he was still one of the dominant personalities of Cuba. In 2015, Barack Obama said the US would begin normalising relations with Cuba, leading to the possibility that the decades of sanctions could be lifted. Fidel Castro’s death was announced on November 25th, 2016 The cause was deth not mentioned.